The very essence of art is its innate ability to make one feel. Deep down into your soul, something emerges— a familiarity of its depth into one’s own personal life. For something to spark that way, the art must transcend beyond surface structures and dive into the line that separates reality and fantasy. 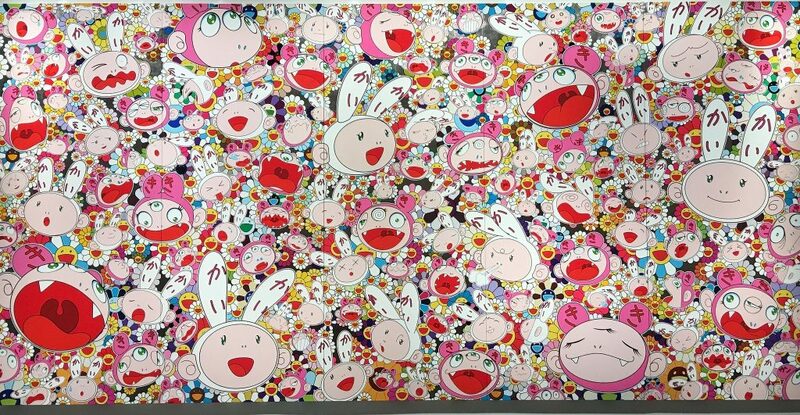 This could not be better embodied by anyone else but Takashi Murakami. Takashi Murakami is a contemporary artist from Japan. His works take on an animated and spunky visual, portraying graphics that seem to stimulate one’s vision with its color schemes and mysterious icons. It kind of feels like there’s so much going on but at the same time comes a calming sensation. How amazing is that? To be able to unlock dualities of the mind is something Murakami seems to do well and may very much be the reason he has come so far in this craft. His specialty is the combined symmetry he imposes in his art. Murakami incorporates the combination of high art and low art into his works. High art can be found in museums and art galleries, and low art is what we find on the television: toony animations and colorful visuals. The interconnectedness of these two components makes way for a new kind of experience to the naked eye. One that blurs the constructs and boundaries between elegance and vitality. The Early Stages: How Did It All Start? The influences around us can great make impacts on our lives and this is especially true for Takashi Murakami. From a young age, Murakami grew up in a household heavily inclined to art and creativity. In fact, his younger brother, Yuji, took an interest in art and followed the same path. Murakami always took a special interest in animation, cartoons and comics. This love for fun and toony graphics intermingled with certain influences around him. His father worked at an American naval base at one point, exposing Murakami to Western mediums of art, such as music and movies. Upon observation of the media handed to him, Murakami could not help but notice the striking disparities between these two cultures and the differences between the depth lying beneath the surface. Murakami especially enjoyed films directed by Steven Spielberg as they portrayed themes of the contrasting experiences between the world of a child and the world of an adult. This tension plugs Murakami’s dominant theme into his paintings: the straining difference of the innocence of a child and the dull makings of an adult. Putting these two components together, we get a spooky, eerie design that plays with our heads. It is amazing how something can be clear once the lines are blurred. It did not take long for Takashi Murakami to make a name for himself. He was pretty successful around art galleries all over Japan and the United States. But what really changed the game was his collaboration with Louis Vuitton in 2003. This, almost overnight, shot Murakami into stardom and fame, especially in Japan. 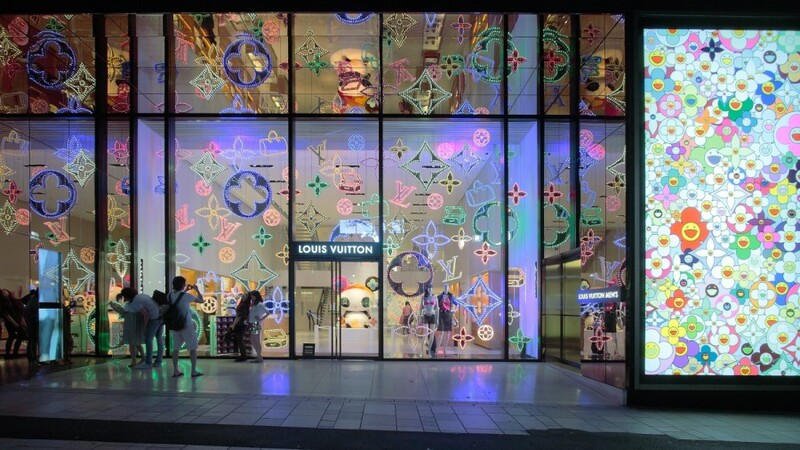 His design is the iconic colorful Louis Vuitton branding with cartoony schemes and visuals. Not only has this man conquered the world of fame and success, he is quite the social butterfly— very friendly and well-acquainted with many celebrities and powerful people. To name some of his close connections: Kanye West and Kim Kardashian, Diplo, Drake, The Weeknd and Billie Eilish. It does not seem like Takashi Murakami is anywhere close to being irrelevant. The general appreciation that the whole world holds for this man cannot be matched. It’s not every day that a visionary connects the lines between polar opposite elements— and does it beautifully.